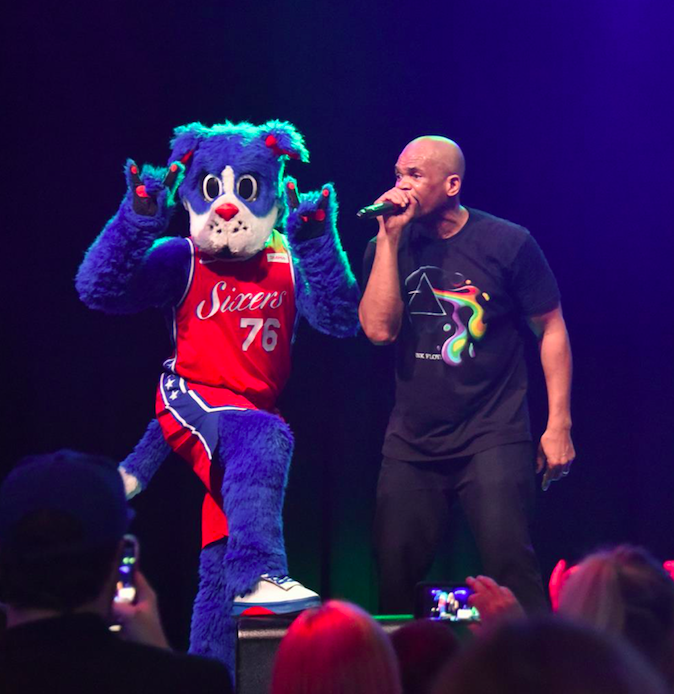 The Philadelphia 76ers held it's Third Annual Sixers Youth Foundation Gala on Monday, March 12, at The Fillmore Philly. 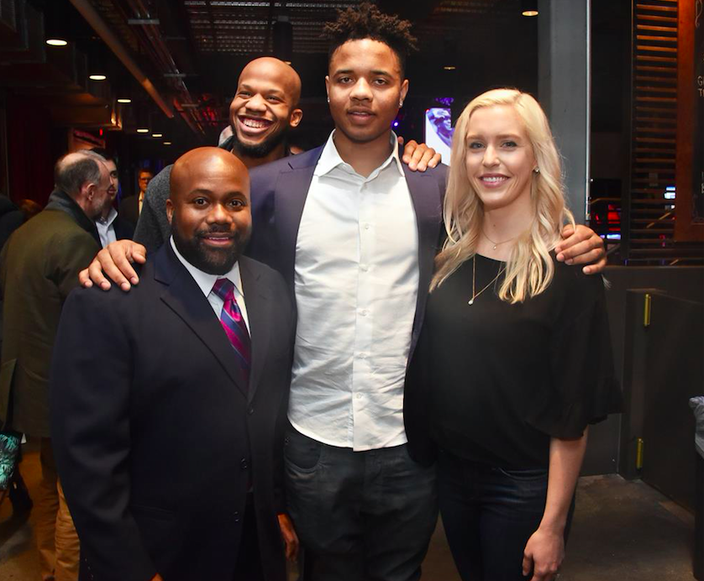 Proceeds from the event supported the Sixers Youth Foundation, which is committed to positively impacting the lives of young people in the Greater Delaware Valley. 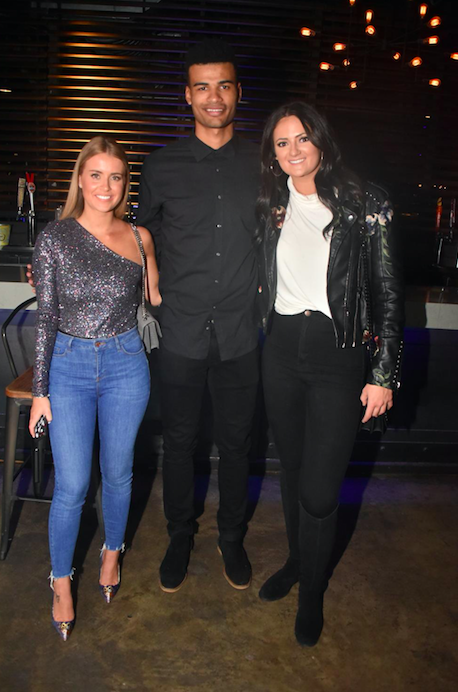 The lounge-style, star-studded gala, dubbed “Evening on the Court,” started with a VIP cocktail party, attended by 76ers legends Allen Iverson, Julius “Dr. 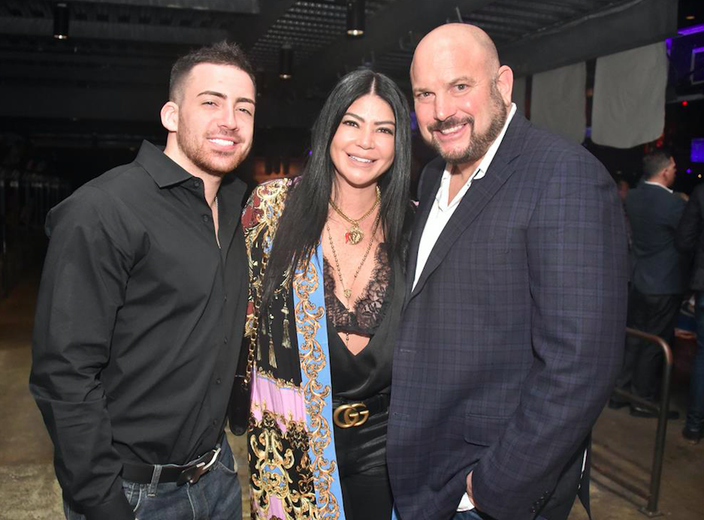 J” Erving, current Philadelphia 76ers players including a media-shy Joel Embiid, Timothé Luwawu-Cabarrot "TLC" and coaches, celebrities like Alicia DiMichele of VH1's "Mob Wives," and many other notables, such as Mayor Jim Kenney. General admission began at 6:30 pm. 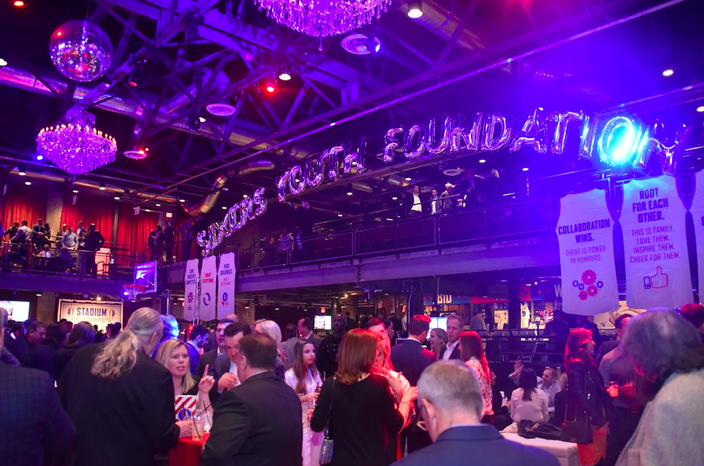 Guests filled ever corner of The Fillmore and dined on fare, compliments of Wells Fargo, that included cheese steaks, nachos, sliders, and sushi. 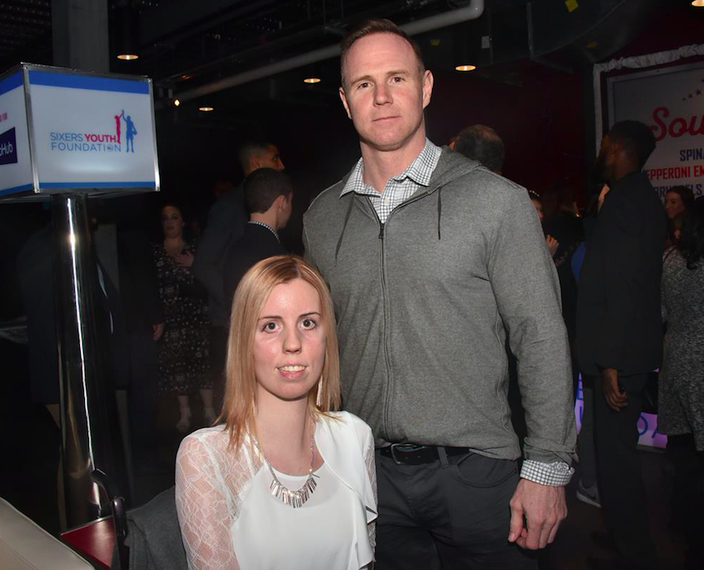 There was also a silent auction with fun items like four VIP tickets to the Philadelphia Eagles Home Opener, which sold for $4,950; an Allen Iverson Meet & Greet which sold for $4,000, and a Fighter Jet Experience for Two which went for a whopping $6,000. 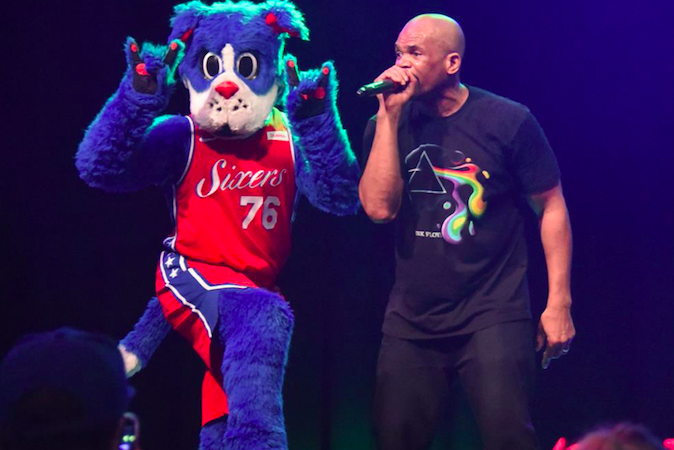 GRAMMY Recording Academy Lifetime Achievement Award Recipient and two-time Grammy Award-Winner DMC performed new songs, as well as songs made famous when he was part of the iconic group Run-DMC. 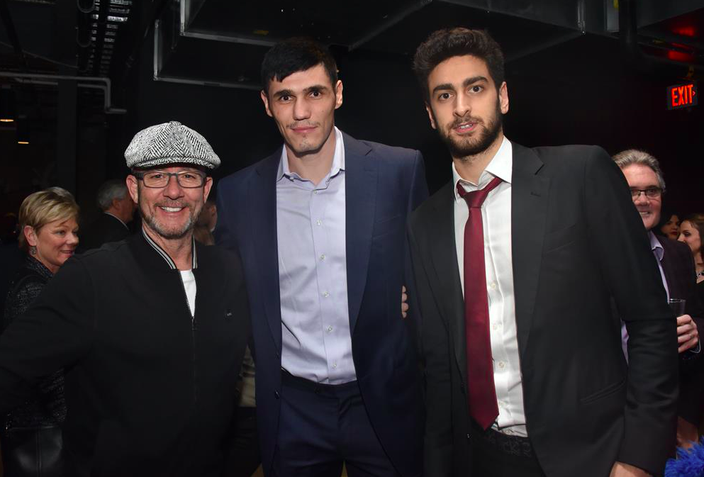 Matt Cord, 76ers announcer with Sixers Ersan Ilyasova and Furkan Korkmaz. 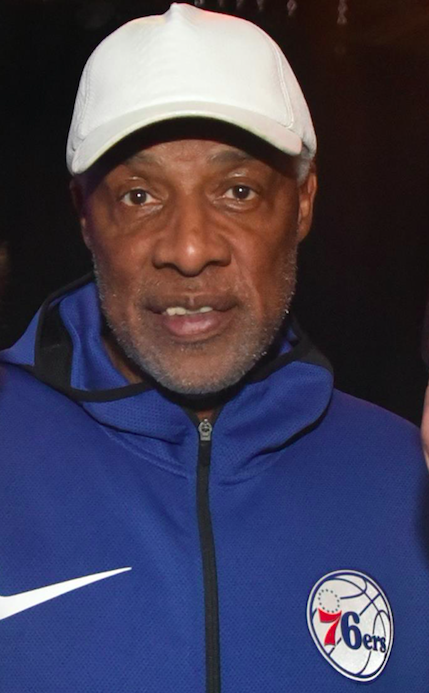 A meet & greet with Dr. J sold for $2755. 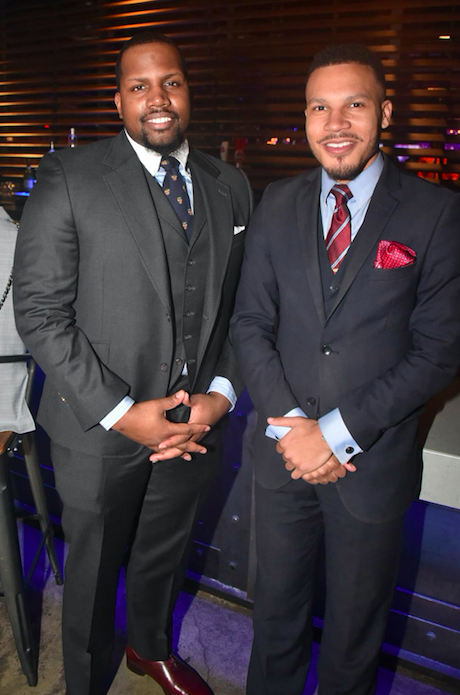 “This past year, the Foundation helped provide coaches and mentors to nearly 2,700 local youth in 30 neighborhoods across Philadelphia and Camden, and also completed our first court renovation project in the Strawberry Mansion neighborhood. 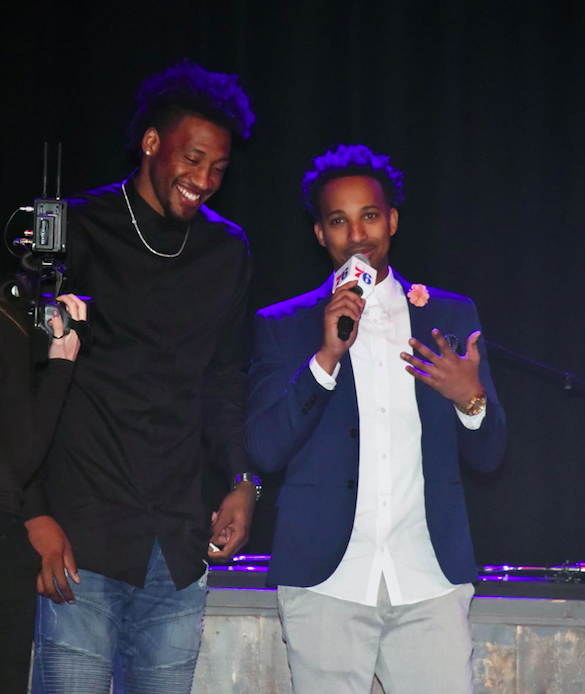 The Gala will create future opportunities to further expand our reach,” said Amy Hever, Philadelphia 76ers Executive Director of the Sixers Youth Foundation.